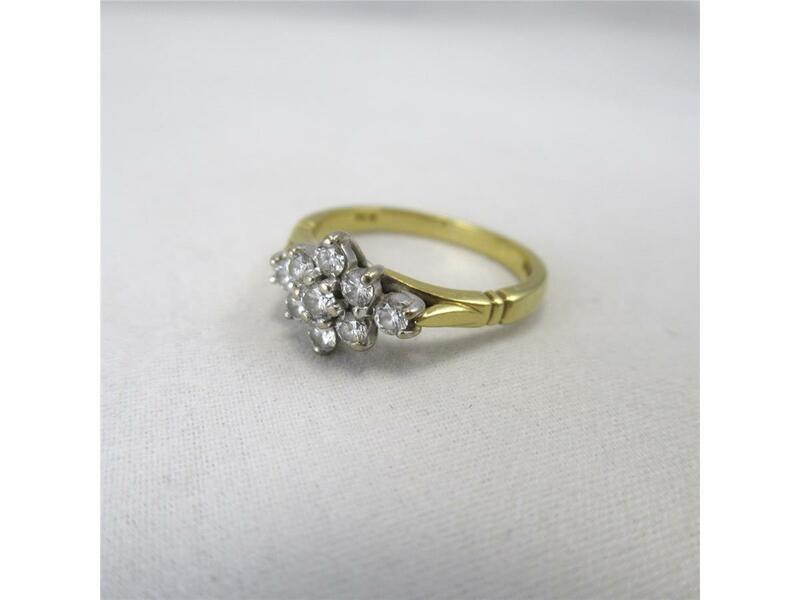 A classic boast designed cluster ring, for timeless elegance and beauty on the hand. 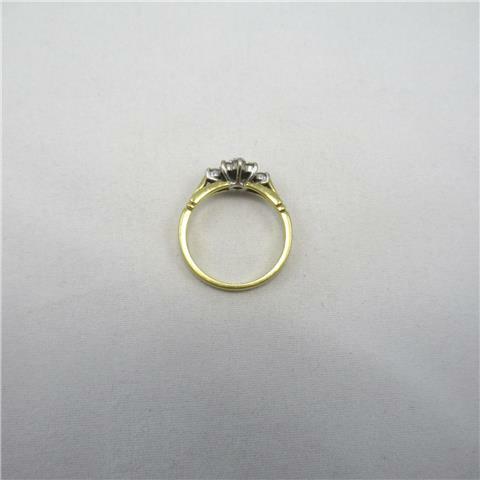 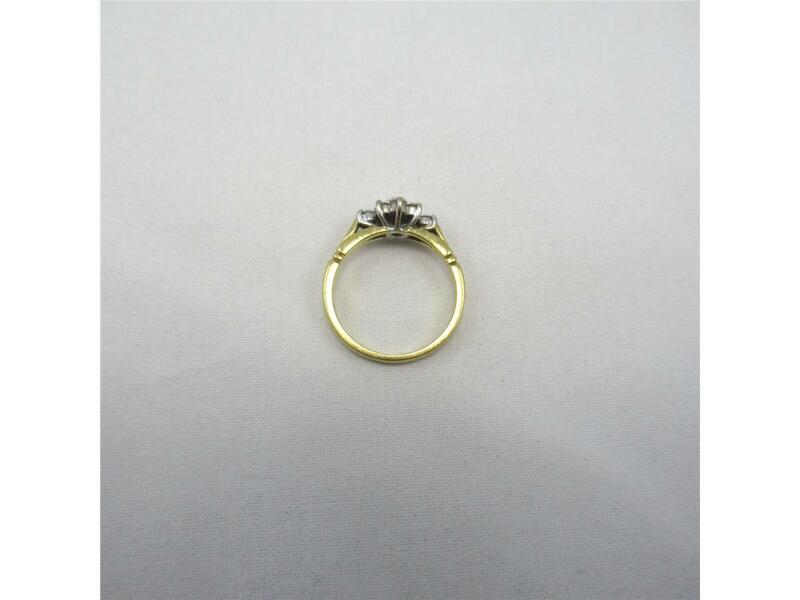 Crafted from 18 carat yellow gold, blending seamlessly up to a white gold setting, complete with 9 round cut bright white diamonds all clustered together leading to a central point of tiers. 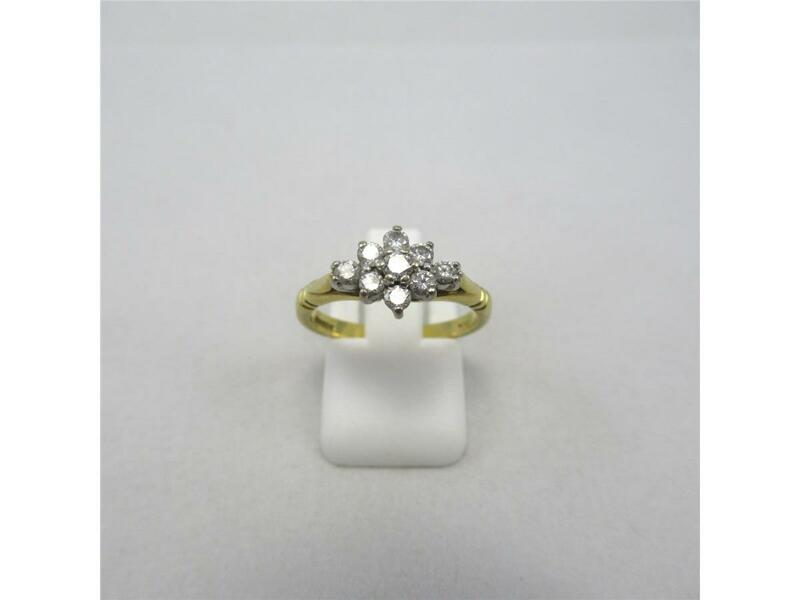 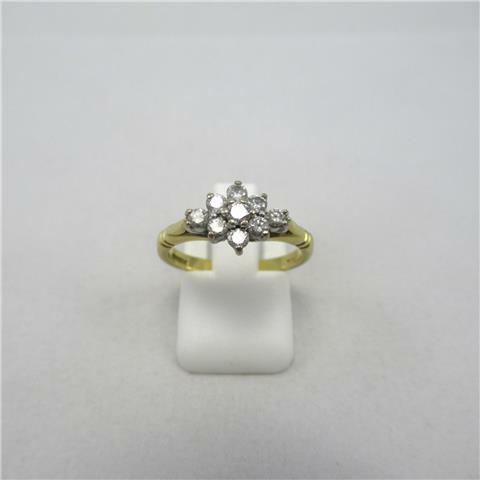 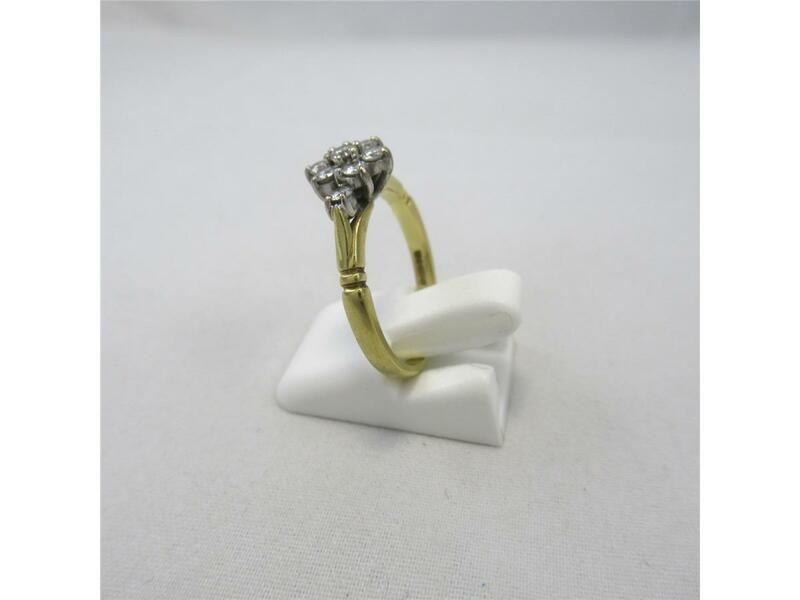 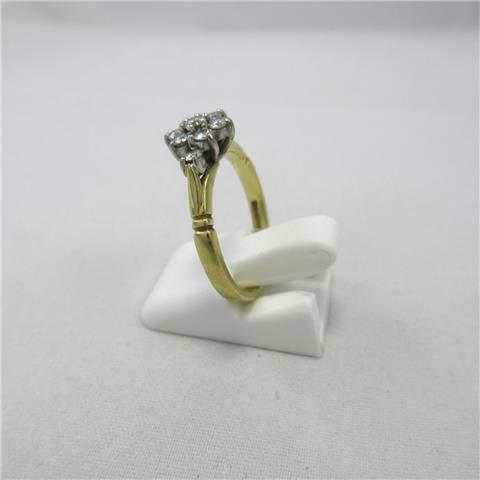 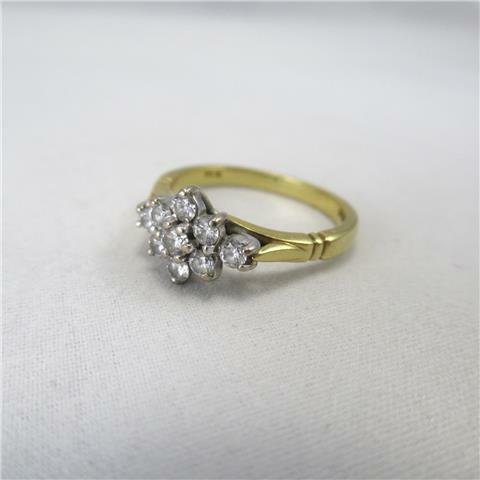 This ring is a design that will always remain consistent with time.